The Portugues Well is located near Tun Teja Tomb at Kampung Pengkalan Samak. 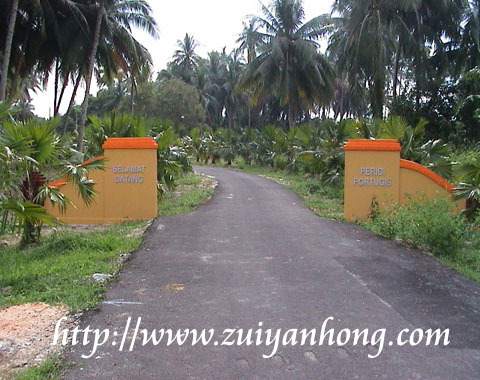 It's just around 5 minutes drive from Merlimau town. 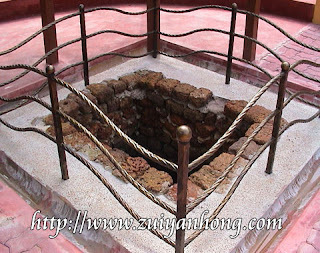 This well was dug by the Portuguese soldiers during their 130-year rule in Malacca. Sultan Mahmud Syah fled to Johor after the fall of Malacca Dynasty. He often invaded the Portuguese in order to regain Malacca. 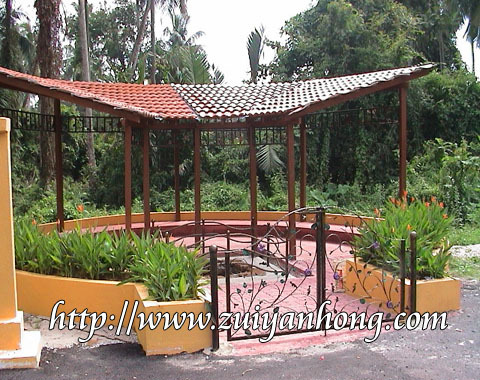 The soldiers were stationed there to protect Merlimau from enemy's attack. This is the road leading to the Portuguese Well. As you can see from the above photo there are oil palms along the road. The location of the Portuguese Well is quite remote. The government should preserve the site and promote as a tourist attraction.